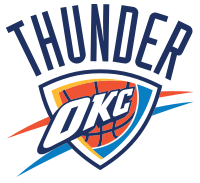 The Oklahoma City Thunder traded James Harden to the Houston Rockers for guards Kevin Martin and Jeremy Lamb, two first-round picks and a second-round pick. While it appears the Thunder made off with a heist for Harden, I did not like it at all. A lot of buddies of mine on Facebook tried to convince me that the Thunder made the right move. They pointed out that the move frees up salary and prevents the Thunder from approaching the dreaded luxury tax. Those same buddies added that those draft picks allow OKC more flexibility in the draft. As good as those points were, I still do not like the trade. Why would you trade an integral piece to your team for draft picks and a couple of young dudes? I mean, Harden was one of the Thunder’s “Big Three”, right? And yes, Harden was a no-show in the last NBA Finals. I get that. I just think that you don’t break up a good thing. OKC was going to be a huge favorite to repeat as Western Conference champions. Now, not so much. The Los Angeles Lakers and San Antonio Spurs must be thanking God in church right now.